Get set for a great family road trip! 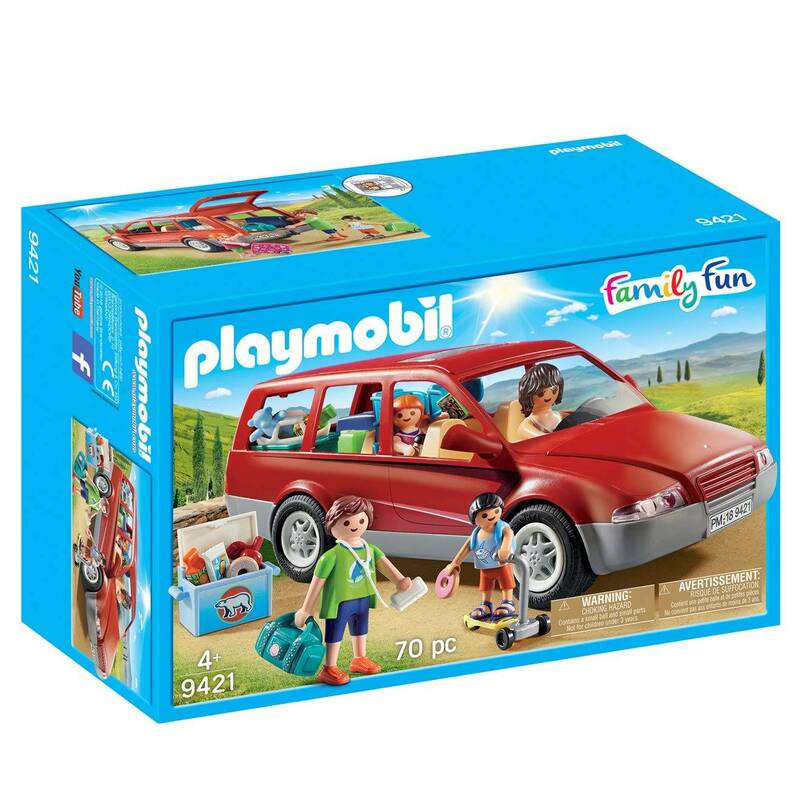 The Playmobil 9421 Family Fun Family Car is fully equipped with food, luggage and entertainment to make sure everyone has everything they need while away on holiday. 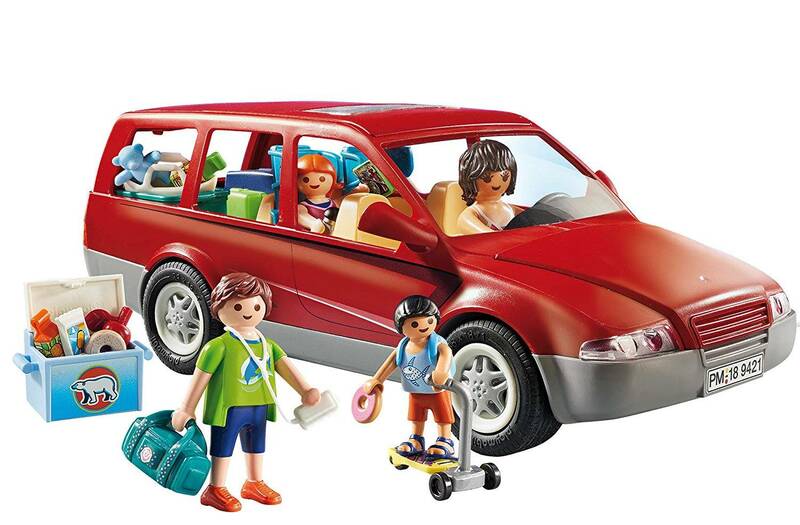 The family car features a trailer hitch, a removable roof, a bonnet which can open and a boot, which opens to reveal plenty of room for storing luggage. For extra space, simply fold the rear seats down.